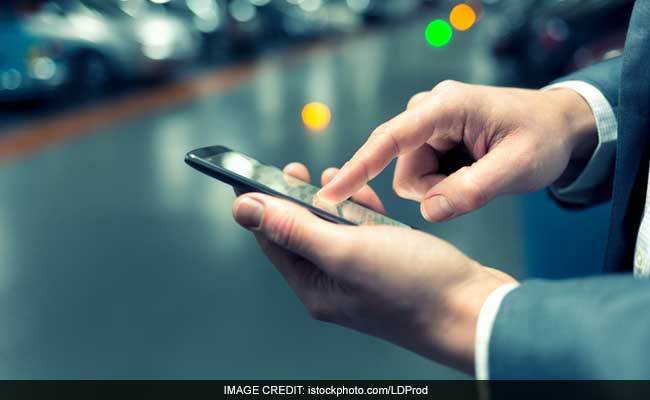 According to a latest study, smartphone apps could prove to be an effective and affordable treatment option for depression. Love your newly purchased smartphone and its many new apps? Turns out that your love for smartphones can also help alleviate symptoms of depression. According to a latest study, smartphone apps could prove to be an effective treatment option for depression. Its reach to millions of people around the world diagnosed with this condition can in fact make it one of the safest and accessible treatments for the condition. Researchers from Australia's National Institute of Complementary Medicine (NICM), Harvard Medical School, The University of Manchester and the Black Dog Institute in Australia examined the efficacy of smartphone-based treatments for depression. For the study, the team reviewed 18 randomised controlled trials which examined a total of 22 different smartphone-delivered mental health interventions. The study published in the journal World Psychiatry examined more than 3400 male and female participants between the ages of 18-59 with a range of mental health symptoms from major depression, mild to moderate depression, bipolar disorder, anxiety and insomnia. The findings revealed that smartphone apps could have a link in reducing people's depressive symptoms. The scientist revealed that these new digital therapies could be useful for managing the condition, paving way for a new field of providing accessible and affordable care for patients thus reducing the societal and economic burden of this condition worldwide. The data further revealed that smartphones can help people monitor, understand and manage their own mental health. Using apps as part of an 'integrative medicine' approach for depression could prove effective for improving mood and tackling depressive symptoms, explained the scientists. The results suggested these interventions so far may be most effective for those with mild to moderate depression. The researchers found that those who used entirely 'self-contained' apps - the app did not reply on other aspects such as clinician and computer feedback - were found to be significantly more effective than 'non-self-contained' apps. The scientists concluded that this might be due to the comprehensiveness of these particular stand-alone apps, rather than a combination of multiple features. The scientists believe that while there not enough evidence to suggest that using apps alone can outperform standard psychological therapies, the 'new digital way', could be promising step into the direction of treating one of the most prevalent disorders of today.. The scientists revealed that patients and doctors are faced with a vast array of mental health apps these days, which definitely speaks volumes for the trend, however knowing which ones are actually helpful is imperative. Authors of the paper also revealed that future research must now investigate which features produce these beneficial effects. Have a balanced diet and include more fluids like green tea, buttermilk, Nimbu Paani and even milk. Milk has a soothing effect on the brain. You can make a quick banana and milk smoothie to overcome morning moodiness. Both induce a feeling of calm. Also known as the sunshine vitamin, Vitamin D is produced by the skin with the help of the sun's rays. Many scientific studies have shown that people with depression also had low Vitamin D levels. Vitamin D is important for many brain functions. You can have more of fatty fish, especially tuna, mushrooms, orange juice and eggs to maintain your Vitamin D levels and also to manage depression. Adding more complex carbs (good carbs from whole grains, brown rice and vegetables) to your diet can help you fight depression. A lot of studies have shown that low carb diets have been linked to nervousness, anxiety, decreased concentration and insomnia. By limiting carbohydrates, your brain may not be able to produce enough of the feel-good brain chemicals, such as serotonin and you may also feel very lethargic. Fats have a feel-good property. But make sure you choose the right kind of fats. Even foods rich in Vitamin B can really help. They turn our food into fuel and keep us energized through the day. Try to incorporate foods like avocado, chickpeas, dark chocolate and nuts in your daily diet. Protein rich foods are known to boost alertness. Some of them contain an amino acid called tryptophan which helps your body make the mood boosting brain chemical, serotonin. For vegetarians, peas, beans, soya, lentils and paneer are good sources of protein and non-vegetarians should opt for lean meat and eggs. Load up on these foods, to fight signs of depression.